32 pages of colouring, puzzles, mazes and activities for children. Use alongside The Storm that Stopped. 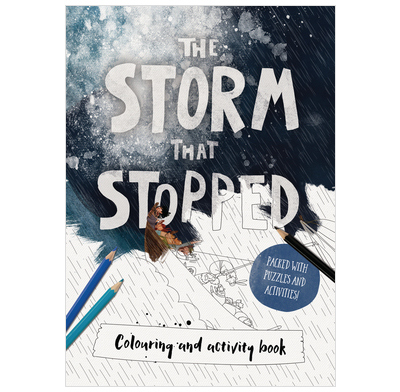 Based on the account of Jesus calming the storm from Mark chapter 4, this dramatic storybook will teach children about who Jesus really is and how they can really trust him. Awesome present for parents, godchildren, and anyone who can hold a pencil/crayon/paintbrush! Can also be used for Children's groups, or to give away at the end of term.